Since 2007 Mad Men has been viewed as one of the most stylish programmes on television, entertaining millions of viewers with its vintage looks and sharp grooming. As fans of the show wait for the final seven episode installment that will be the show’s finale in 2015, we wanted to take a look back at some of the best style tips this show has offered. Across the seven series, the towering office buildings of New York have housed great looks, whilst characters like Don Draper, Roger Sterling, Pete Campbell and Ken Cosgrove have all become style icons for many men out there. Today, we’ve put together 5 of the best pieces of advice Mad Men have to offer with all credit going to the show’s fantastically talented costume designers. It can often be the case that men buy a coat as an afterthought, something that they hope they don’t have to wear but will inevitably end up slung into a cupboard somewhere to gather dust until the weather changes. As a result, they don’t tend to be very high quality, well fitted or stylish which can ruin an outfit. 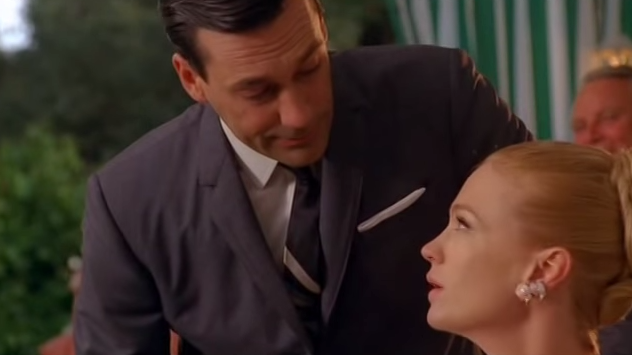 However, the gentlemen of Mad Men never allowed this to be the case. Come rain, snow or hail, they’re stylish coats were classically masculine and complimented their outfits. Coupled with an umbrella, you could be ready for most city downpours, yet arrive at your destination still looking the part. 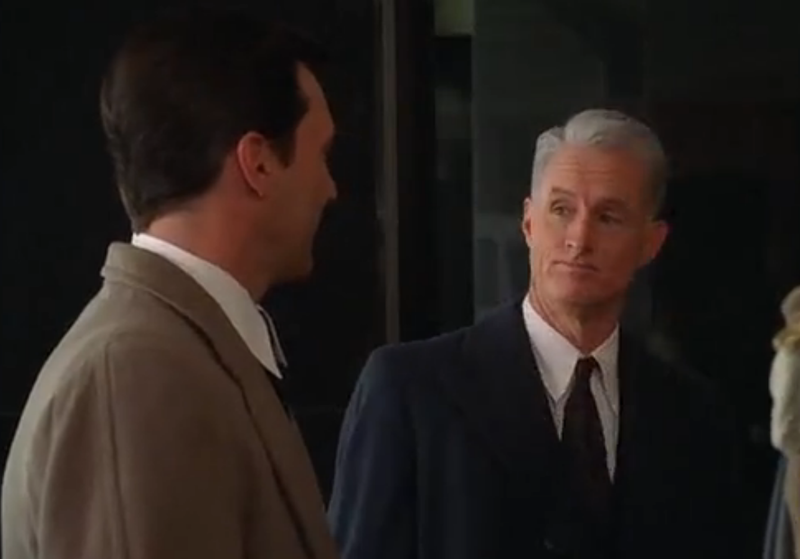 If we were taught anything by Roger Sterling, aside from a multitude of one-liners, it’s that age should never prevent you from looking stylish. 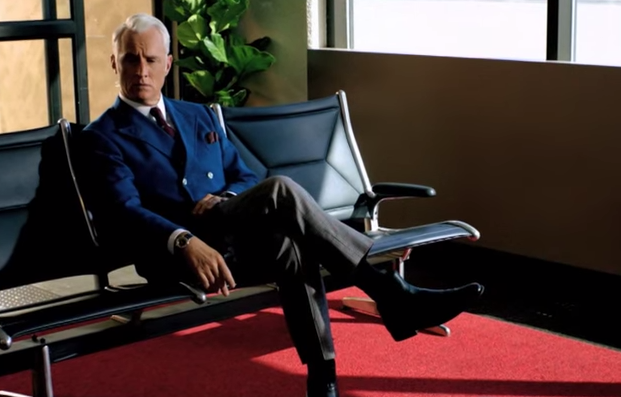 Throughout all 7 seasons of Mad Men he has continually shown off a mature gentleman’s style that is timelessly elegant and incredibly clean-cut. His go-to style of the 3-piece suit is reminiscent of Hollywood stars like Gene Kelly, a graceful look that doesn’t age him but instead gives an air of gravitas to his character. Other characters like Lane Pryce and Henry Francis continue to lead the charge for the older gentleman’s look proving that, for those with the right style choices, age is just a number. Outside of the office it’s not always practical, or appropriate, to be wearing a full suit. 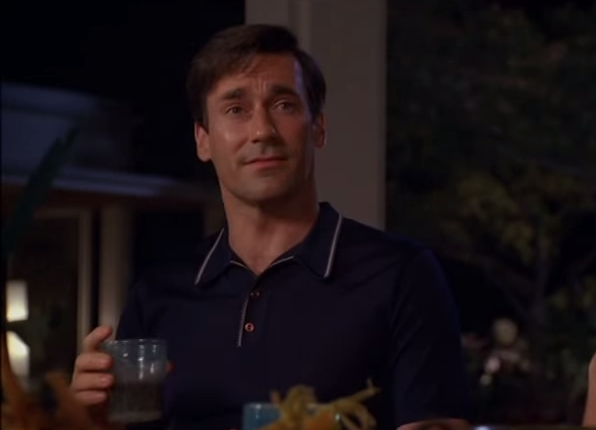 Yet again Mad Men manages to show us how it’s done with the incredibly sharp casual outfits worn by many of the characters. Whether it’s at home, on a night out in Italy or at a neighbour’s party, every character manages to look their best. We’ve taken a selection of Don’s looks above to illustrate this but there are examples in almost every episode of men putting the “style” into their everyday “lifestyle”. We’ve covered this many times before in style posts and features about accessorising your outfits, but Mad Men seem to have said it without really using words. The details on every gentleman’s outfit make great looks rather than just good looks. Whether it’s Don’s sunglasses in California, Roger’s three-point, pocket square or Sal’s use of contrasting colour waistcoats, they all elevate the outfit’s look. Make sure to add your own little touch, the subtle changes are the ones that make you stand out. 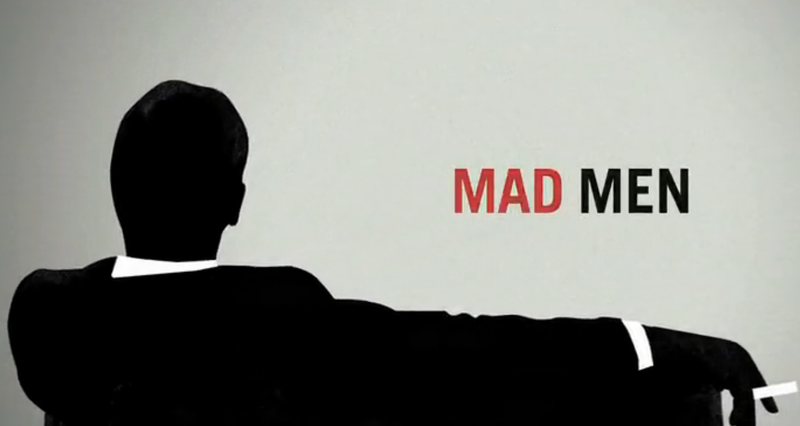 Of course this was going to be number 1, it’s Mad Men! Yes the suit is one of the most iconic images used within Mad Men and from the title screen to the end credits of every episode, there’s always a suit that catches the eye. There is a plethora of cuts, styles, colours, fabrics and patterns that all give their own looks to individual characters. If Mad Men taught us anything it’s that we cannot be afraid to experiment with the different elements of a suit. Don’t just stick with your standard grey, jacket-and-trouser suit. Try grey plaid instead to help add a contemporary twist. Fed up of wearing the same blue 3-piece suit? Buy a red or light blue, double-breasted waistcoat and see how the outfit changes. If you’re bored with your tailoring then get outside of your comfort zone, you’ll be surprised what you find. 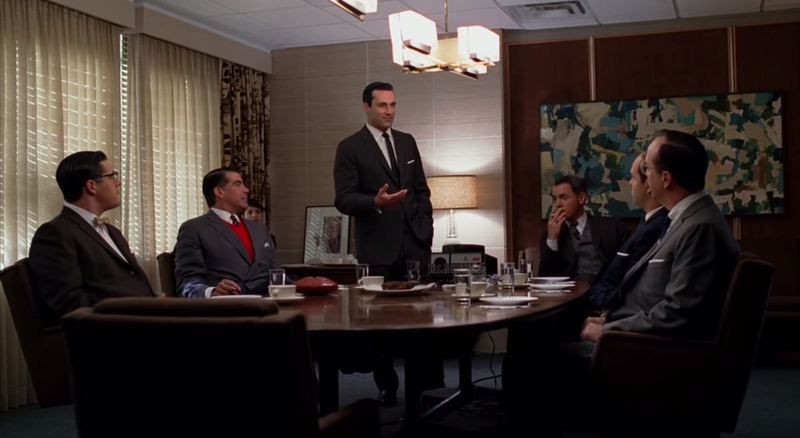 That covers our round-up of the best men’s style tips from Mad Men. As always, feel free to comment, like and share with your friends if you’ve enjoyed the article. Be sure to subscribe for future updates from The Male Stylist and keep an eye out for future competitions.